Creates a full 8′ wide graphic backdrop in just minutes! Three Retractable Banner Stands for printed banner graphics and each banner stand is 31.5″w x 78.5″ high, includes a 3-part bungee tension pole, swivel stabilizing feet (in your choice of either Silver or Black finish). Design your graphics to span across all three banners, or create 3 separate images that work together. All graphics are printed from your supplied digital art files. 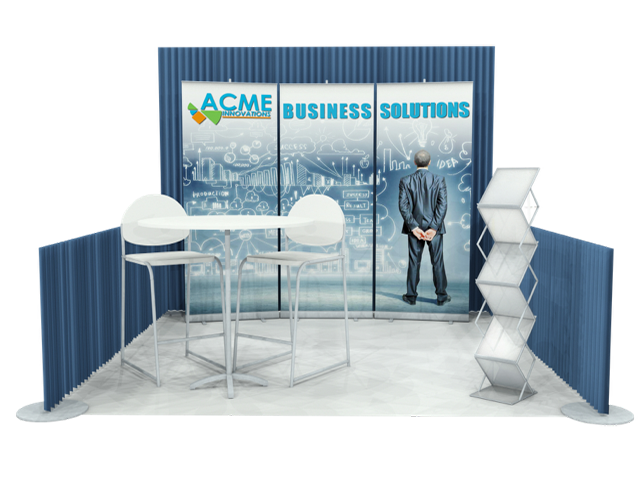 Call Cheryl or Omar at 407.219.3908 or email exhibits@ags-expo.com for more information.